After about a year delay Cardiac Science finally has started delivering the new G5 defibrillator to replace, over time, the very successful G3 model. 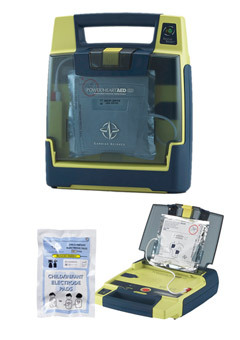 The Powerheart G3 had for a long time been the best selling of all our defibrillators. With an impressive 7 year warranty, Rescue Ready self-test technology and real-time CPR (cardiopulmonary resuscitation) feedback for invaluable guidance, it’s understandable why the Powerheart G5 AED CPRD defibrillator is regarded as the next generation of defibrillation equipment. Whether you are a healthcare professional or someone with minimal first aid training, responding to a sudden cardiac arrest (SCA) can be a daunting experience. The Powerheart G5 offers ease of use as well as voice and text prompts, helping to guide and calm the rescuer throughout the defibrillation process. Featuring an integrated sensor device, the G5 assesses the CPR performance given by the rescuer and provides real-time feedback to ensure the correct compression depth and rhythm is achieved. This innovative technology also extends to assessing the patient’s therapy needs, delivering a shock at the necessary energy level, and automatically detecting when paediatric pads are in use. This defibrillator coaches and works with you to give the victim the best chances of survival. Defibrillators are life-saving devices and it is important that they remain in full working order at all times. To assist with this, the G5 has ‘Rescue Ready’ self check technology, performing regular tests on all main AED components including the battery, hardware, software and pads and provides visible green LED confirmation that the G5 has passed these tests. Safelincs is committed to providing our customers with the best possible service and value for money. 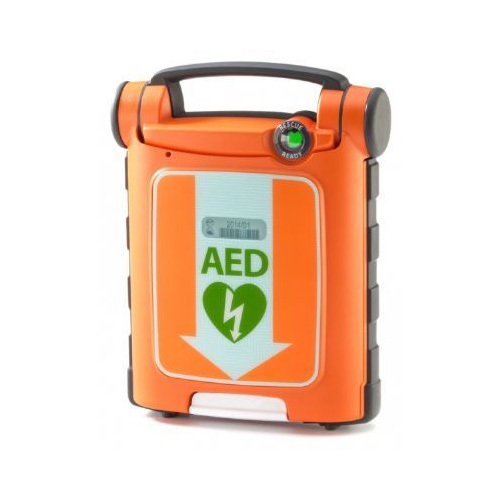 When purchasing the Powerheart G5 AED defibrillator, our customers will receive a FREE AED responder kit, one FREE place on a St John Ambulance defibrillator training course, as well as one set of FREE replacement pads after 2 years of purchase. To take advantage of this amazing offer, please visit our website, where you will also benefit from FREE delivery as well as a limited time special offer price!